RIOC plans policy to deal with abandoned bikes like this one. After complaints from Daily reader Eduardo Jany sparked action by RIOC Public Safety Chief Jack McManus to deal with abandoned bikes taking up limited space on public racks, we reported his promise to canvas the Island to assess violations and pursue solutions. Working with Public Information Officer Alonza Robertson, McManus fulfills that promise as RIOC readies a formal policy to be announced this month. A new policy to rid Roosevelt Island of old, rusty bicycles chained to streetlights, street signs and public bikes racks is set to be unveiled this month, the Roosevelt Island Operating Corporation (RIOC) said Friday. 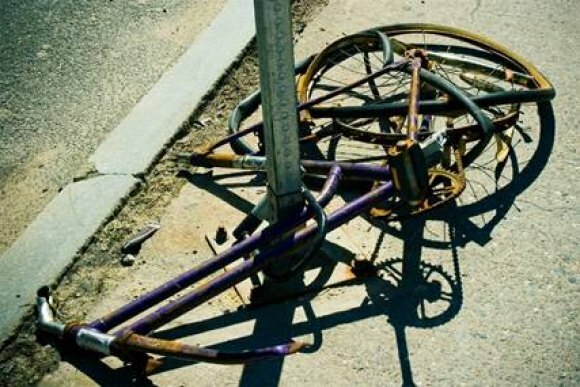 After two weeks in RIOC’s custody, if no one claims the bike, it will be discarded.